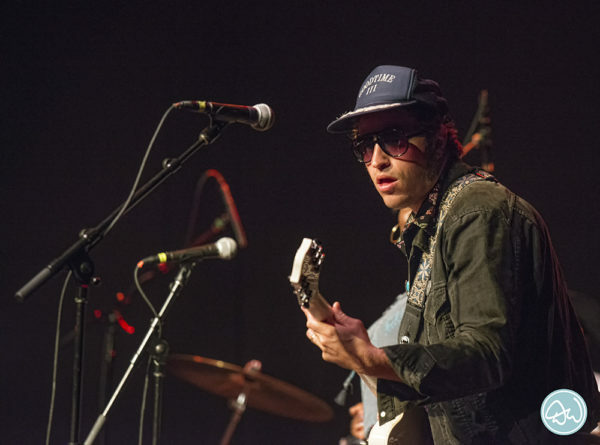 That Music Magazine » LOW CUT CONNIE OWNS UNION TRANSFER! 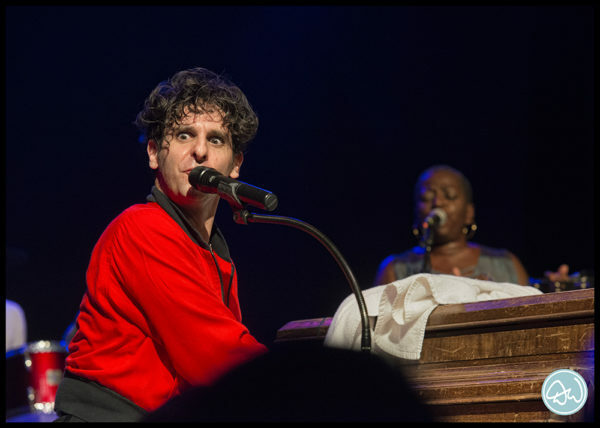 LOW CUT CONNIE OWNS UNION TRANSFER! What a disparate evening at Union Transfer! Kicking off the night was a DJ followed by a Pop vocalist and then a charismatic Hip Hop artist. Same for the audience. Folks from all walks of life gathered to enjoy one of the more unique bills of great music. Any of the performers could have been the headliner. 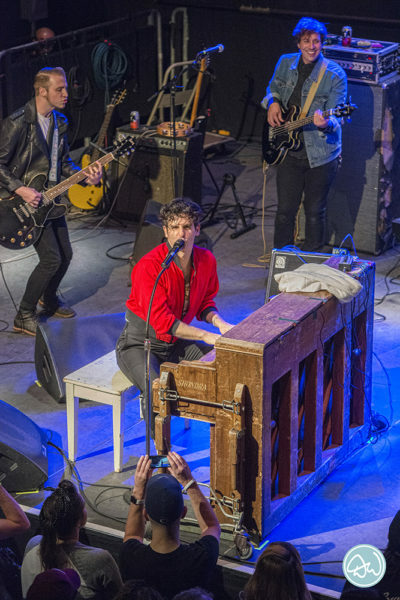 But at the top of the bill this night was the high-octane crowd pleasing Low Cut Connie, fronted by master showman Adam Weiner and his beloved and lovingly worn upright piano named Shondra. 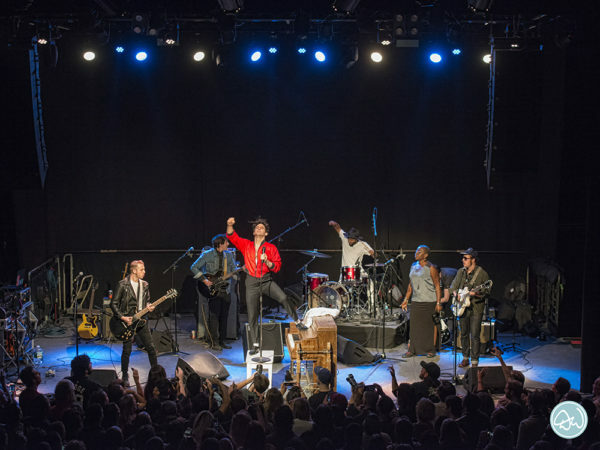 The fine LCC band kicked off a rousing intro and then on cue, all knelt to welcome Weiner to the stage dressed in a bright red jacket, tight black pants, a shock of dark wavy hair who stopped to pose across the length of the stage to an adoring crowd. Finally, he jumped on top of Shondra, spread his arms, the band stood and together they rocked the night away. Band members include Will Donnelly, James Everhart, Lucas Rinz, Larry Scotten and their newest member, the talented veteran singer Saundra Williams. Making her debut this night with LCC, Williams comes with a serious resume including a long stint with the renowned Funk & Soul band The Dap Kings. She adds a terrific new dimension to the sound of this top-notch rock band. 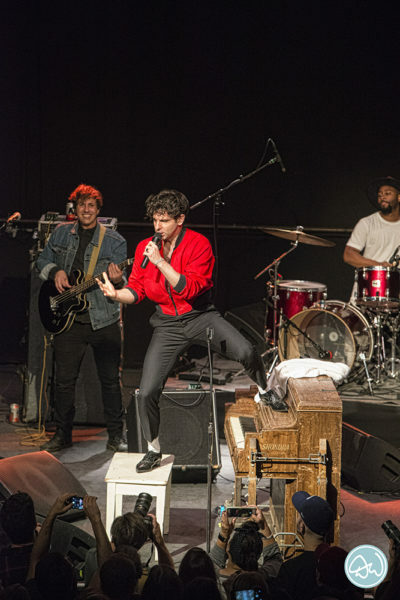 Formed in 2010, Philly-based Low Cut Connie has built an ever-growing presence and is currently on tour with a stop at hometown Union Transfer. 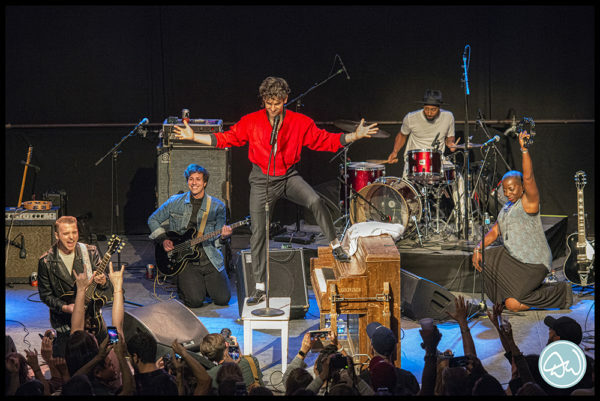 Channeling his inner Jerry Lee Lewis, complete with flying hair and mic at his right shoulder, Weiner pounds the keys with abandon while singing and mugging to the front row. 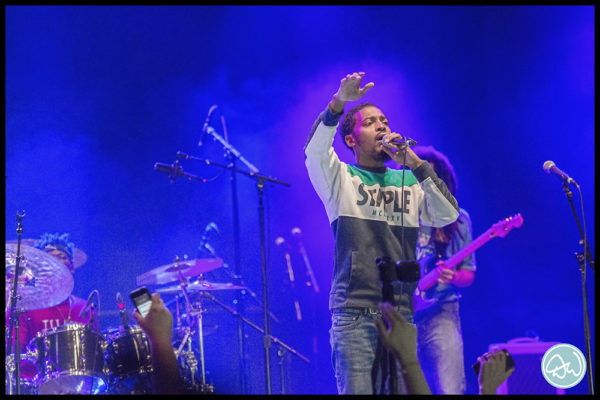 His energy is contagious as he works the crowd from all parts of the stage, oftentimes from atop Shondra. 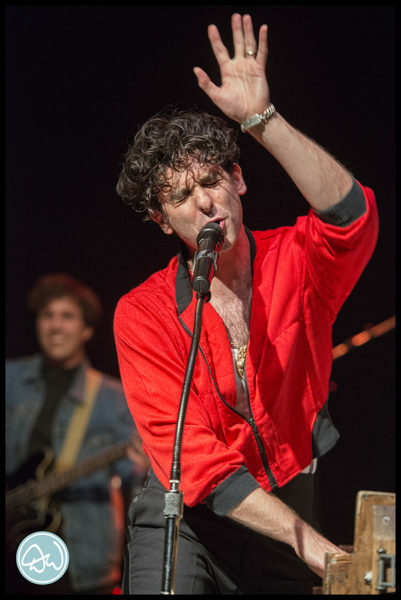 Larger than life, Weiner plays to the back seats with his theatrical movements, banter and excellent song choices designed to keep the party going. Meanwhile, the band is all smiles as they too play to the crowd. All told, they are a road tested, serious act with non-stop fun and contagious excitement from start to finish. They leave it all out on the stage each evening. 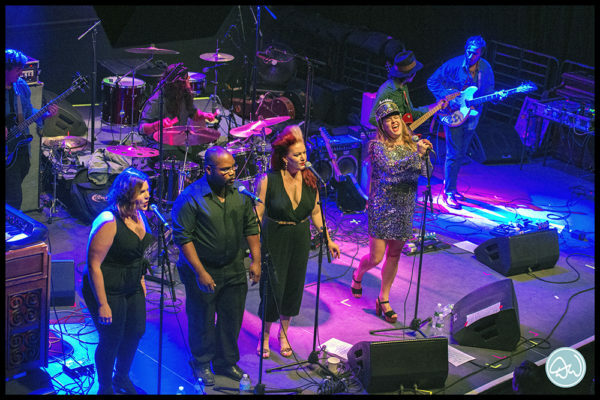 Opening the evening was DJ Philly Soul Syndicate followed by the delightful Ali Wadsworth and her full band, including three backup singers. 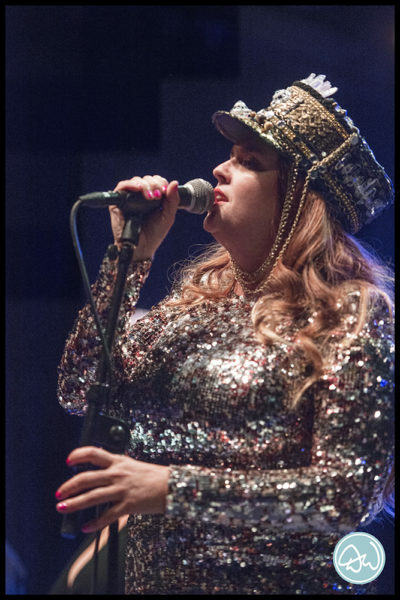 Wadsworth was decked out in a glittery outfit with a matching Janet Jackson-style had and a set of pipes to die for. Very engaging, Wadsworth could easily have packed the house herself. 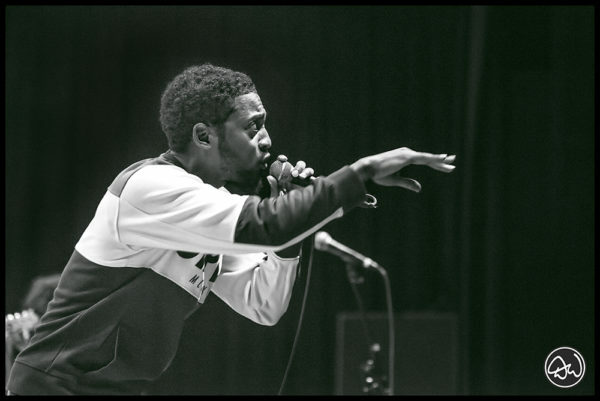 Philly’s own charismatic Hip Hop artist Chill Moody was direct support for Low Cut Connie. His set was inspiring and off the charts engaging, positive and tight with a full band. Moody worked the crowd with his earnest and honest approach. 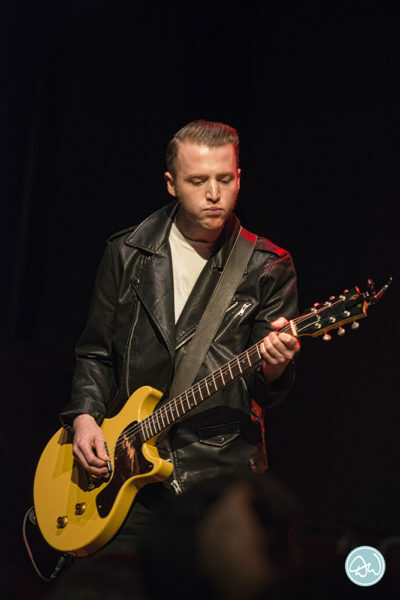 I tend to wander the crowd during shows to see how an artist is playing to the back rows. Moody had everyone on their feet waving their arms to the flow of his tunes and rhymes. Stellar. Catch Low Cut Connie’s latest release, Dirty Pictures (2017) on Contender Records.